McLaughlin & Nardi’s New Jersey construction attorneys represent owners, contr actors and building suppliers in the prosecution and defense of construction lien claims. As discussed in McLaughlin & Nardi’s overview of construction liens, they can be powerful tools for construction contractors, subcontractors, and suppliers who are experiencing difficulties in getting paid for the work that they have performed. 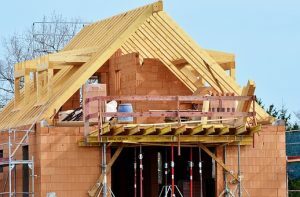 However, when considering whether to proceed with filing a construction lien for either a commercial or residential project, it is important to know that the contractor (“claimant”) act promptly once it starts to experience payment issues. Once the claimant has completed the work and is entitled to payment, it should file a notice of unpaid balance (“NUB”). The NUB must be filed no later than 60 days after the work was finished. It is recommended that the NUB be filed as soon as possible to allow enough time for the completion of the steps necessary to obtain the lien claim. The claimant has 10 business days from filing the NUB to serve a copy of the NUB on the owner, contractor, or subcontractor against whom the claim is asserted, and file a demand for arbitration to the American Arbitration Association (“AAA”) to institute an expedited proceeding. It is recommended that the NUB be filed by personal service or registered or certified mail, return receipt requested to have proof of timely mailing to satisfy the requirement of service. Within 30 days of receipt of the NUB, the arbitrator from the AAA will make a decision regarding the NUB. Within 10 days of the claimant’s receipt of the decision from the arbitrator and within 120 days after the last provision of work, the claimant must file a lien claim that complies with the decision of the arbitrator. This time restriction is one of the reasons why it is so important to move quickly in terms of filing the NUB. Similar to the filing of the NUB, the claimant has 10 days from the filing of the lien claim to serve a copy of the lien claim on the owner, contractor, and the subcontractor against whom the claim is asserted. Within one year of the completion of the work or within 30 days after written demand by the owner to the claimant to institute a lawsuit, it must file a lawsuit to establish the lien claim. This must be done within this time period or the claimant will forfeit its right to file a lawsuit for the lien claim. Within 30 days from the date of the resolution of the claim, a discharge of the lien must be filed. Once the claimant has completed the work and are entitled to payment, it should file a lien claim with the County Clerk where the property is located. No NUB is necessary in commercial construction projects. It is recommended that the lien claim be filed as soon as possible to allow enough time for the completion of the process. However, it can be filed no later than 90 days after the last provision of work. The claimant has 10 business days from filing her claim to serve a copy of the lien claim on the owner, contractor, and the subcontractor against who the claim is asserted. Within one year of the completion of the last provision of work or within 30 days after written demand by owner to the claimant to institute a lawsuit, it must file a lawsuit to establish the lien claim. This must be filed within this time period or the claimant will forfeit its right to file a lawsuit for the lien claim. Within 30 days from the date of the resolution of the claim, a discharge of the lien claim must be filed. Compliance with the New Jersey Construction Lien Law is required in order to receive the protections it provides to contractors, sub contractors, sub-sub contractors and suppliers, that have not been paid for their work, which unfortunately is an all too common occurrence in the industry. Our lawyers focus on the construction industry can help assist you with the construction lien process. Call us at (973) 890-0004 or e-mail us to schedule a consultation to speak with one of our attorneys.